This is opinion, and is not necessarily the views of the University or Academic Computing. Hello. My name is Jerry, and I am a Windows user. Please, do not make my mistake. If you haven’t purchased your computer yet, for God’s sake, buy a Macintosh. If you do purchase a Windows computer, make sure they have really good 24-hour tech support, and squirrel away at least 50% of the cost of the computer in the bank for things that the salesperson “forgot to tell you about”. You know, I used to be a lot less militant about this—before I got into user services. I mean, I bought a Windows computer myself, three years ago. The only thing I used it for was word processing, and for that, it worked. For me. But I’m a computer geek. I’ve been a computer geek since I was fifteen years old. When I turned sixteen, I saved up a thousand bucks and, instead of buying a car, I bought a computer, an old TRS-80 Model I, complete with black and white screen and 16 kilobytes of RAM and no hard drive because they hadn’t even been invented yet. I didn’t buy a car until I was in college. I’m as at home with computers as mechanics are with cars. Sure, my Windows computer hasn’t given me any trouble—because I only use it for one thing, writing; because I can tell what’s going wrong before it becomes a problem; because I understand computers and don’t ask it to do something that’ll screw it up; and because I never upgrade it. I have no sound, no CD-ROM; I had to replace the monitor once because the old one blew up. It’s a much better monitor than the old one, but I don’t use the extra capability because it just isn’t worth the trouble. When you hear that “Windows isn’t hard to use once you get used to it”, that’s what it means: it doesn’t mean you’ll no longer have problems, it just means you’ll have resigned yourself to the fact that you won’t be able to use your computer for what you bought it for. The last—and only—time I upgraded my Windows computer, I needed to switch the monitor quality on the old monitor from 16-color to 256-color. On the Mac, all that requires is pressing a single button. Windows? Windows promptly de-installed my working 16-color drivers, installed a non-working 256-color driver, and I had to wait three days to use my computer, because the new driver didn’t work, and Windows had thrown out the old one. Re-installing required DOS knowledge. It required a computer expert—myself. What would you have done? Probably called us up at Academic Computing and told us that “your computer isn’t working.” And, of course, we’ll help you to the best of our ability. But while we’re helping you, there’s someone out there on a Mac whose computer is working, and needs to know how to download something from the Internet, or how to transfer files between Microsoft Word and WordPerfect, or send e-mail to their mother—someone who actually wants to do something useful with their computer, rather than just get it to work at all. They’re on hold, because you bought a computer that wasn’t designed for real people to use. Do them a favor. Make your next computer a Macintosh. One of the problems we have with Macintoshes in the Academic Computing labs is that people will come in and install new hardware while no one’s looking. That’s right: the lab assistant’s head turns and the user will plug in an external hard drive, or plug their powerbook into our Macintosh network. That ‘problem’ sure as hell doesn’t occur on the IBM side of our labs—installation just isn’t that easy. The only disadvantage you’ll discover on going Macintosh is that your three-year-old will be able to use your computer without asking first for permission. You have to be a rocket scientist? And I’m really tired of everyone I know buying a Wintel machine because other people told them it was easy to use and then taking hours of our time for support. Both sets of parents, for instance: when my husband or I visit, we spend at least 20% of our “vacation” helping troubleshoot/upgrade/whatever else our folks wintel boxes. We’re visiting my Dad for his birthday in a month. Guess what, he wants to add a scanner! So we’re adding a day to our visit so we can configure it. i suppose my big problem with Mac’s are the ease of use… i get a kick when i see how people messup their PC’s.. I am the support manager for a software company. We write a specialized CAD system that runs on Macintosh and Windows. Our user base is almost exactly 50:50 Mac/Windows, however the Windows users call almost 3 times as often as our Mac users. Over half the problems exhibited by the Windows users are not our program at all, but problems with Windows, configuration, installation, etc. Not only does this increase our costs of providing support, but it increases our customers’ costs. Most of them are design professionals, to whom time is money. It’s no wonder I recommend Macintosh to everyone who asks. So simple a child could do it? I let my nine-year-old daughter use my old IIsi to play all her games on. A couple of months ago the NEC CD drive died. Yesterday I saw an ad for a $99 external CD at Fry’s and decided to get it for her machine. We went and bought the drive and got home just in time for me to see the kickoff of the Dallas/Washington game. She wanted to get the drive installed and I wanted to watch the game so I told her to install it herself, figuring that she could get it unpacked and close to being installed and I could complete the job during a commercial. Ten minutes later I hear her shouting from upstairs “got it working, thanks dad!” I’d like to see a nine-year-old do that on a wintel machine. Thanks, Mac! Campus computing inventories here at the University of Texas at Austin over the years have consistently shown a microcomputer ratio of two to three Macintosh computers for each Wintel machine. The relative numbers of consultations are about even. More significantly, the majority of Macintosh consultations are concerned with how to do productive work while the bulk of the Windows questions deal with fundamental problems of getting the blasted machines to work. Our art department installed new Pentium PC’s to remain “compatible” with the rest of our PC-based network. One day an art assistant asked me a question about transferring graphics from Pagemaker to Photoshop. I told her to simply copy the graphic in Pagemaker and paste it into Photoshop. She came back a few minutes later and said her computer wouldn’t perform the task. “That’s weird,” I said. I went over and tried it myself. She was right. Her PC would not allow a graphic created in Pagemaker to be copied and pasted into Photoshop. I copy and paste between the two Adobe programs (and others) all the time on my Mac and the results can be seen on my web site. Our art department never finished the job requested by the Vice President of Sales. It would have taken too long to redo the artwork in Photoshop. Microsoft is now claiming that Windows ’95 picks up and goes beyond the Mac in ease of use. They’ve even got what they call an “independent study” to prove it. But their definition of “independent” seems different than the rest of the world: they paid the research company to do the study. They chose the subjects. They designed the test’s tasks. They even chose the hardware that the subjects used. “The study’s design is sufficiently flawed that the significance of the results is called into question,” said Peter Hartsook, editor of The Hartsook Letter , in Alameda, Calif.
Microsoft concedes that Win95 users were chosen from the ranks of the Windows 95 preview program, a group whose members might fairly be described as enthusiasts. Mac and OS/2 users were chosen more randomly from Microsoft’s database of Excel and Word users. For a few specific Photoshop features, that improvement can be significant… but only if the setting for that feature is just so. Set the Unsharp filter for a blur of four pixels and a MMX-enabled Pentium performs 800 percent faster than a standard Pentium. Impressive. But change the blur setting to five pixels or more and the Pentium with MMX is faster by around 10%. Not quite so impressive. The same happens with Gaussian Blur, another Photoshop filter. And that eight to twelve percent increase is simply because the newer chips have a little more memory built into the chip than the older chips did. Nothing to do with MMX at all. But wait, there’s more! One of the reasons that the Pentium with MMX is so much faster at particular settings is that the original Pentium runs many times slower at these same settings than it did with the same settings on the non-MMX version of Photoshop. Intel not only made the chip faster, they made the application slower, but just for certain processor types. How did they do that? Intel actually did the Photoshop optimization themselves. Adobe handed Intel the code, Intel tweaked it and gave it back. October 15, 2015: Macs still easier to use? Jon Pugh writes that “the most significant answer is simply because a Macintosh will not give you anywhere as much grief...”. Just bring your printout to your university reseller and you’re set. I’ve found the Slashdot Security Test invaluable: if we implement this process and we get hacked, how will Slashdot posters react? Twenty years down, does buying a Macintosh still save help desk time and user trouble? According to IBM, it does. 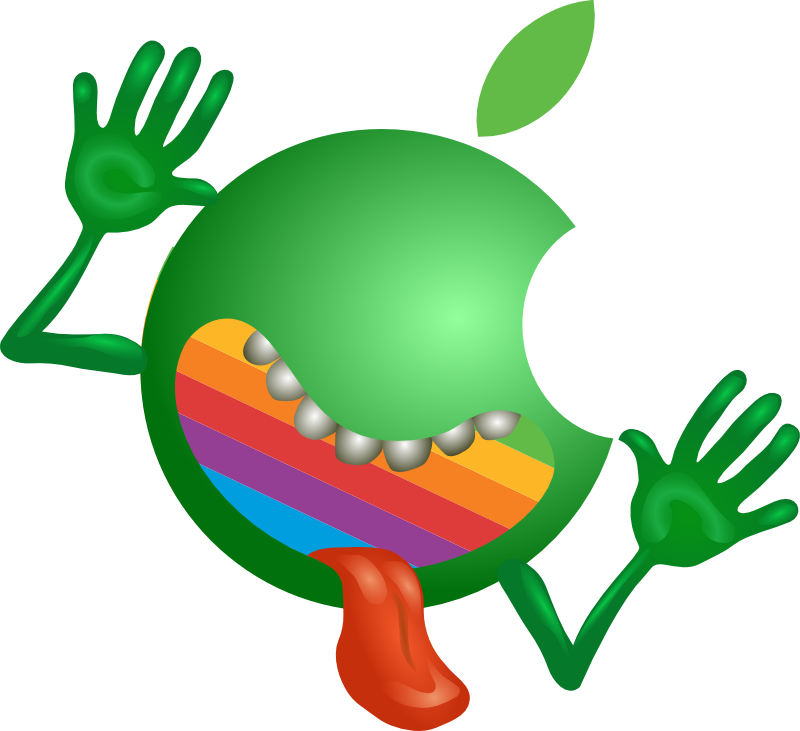 Save Me Time, Save Yourself Trouble: Buy Macintosh last modified October 17th, 2015.